Animal prints never really went away and are a wardrobe staple for every fashionista out there. Leopard print was embraced since Christian Dior created a range of accessories featuring the print during the 50s and it has always been a classic from 60s to 80s. Earlier this year snake print and zebra print has also made its way to the runway. So if you have even been hesitant about investing in animal prints, it's time to forget everything and load your wardrobe with exotic animal prints to look wild & bright. 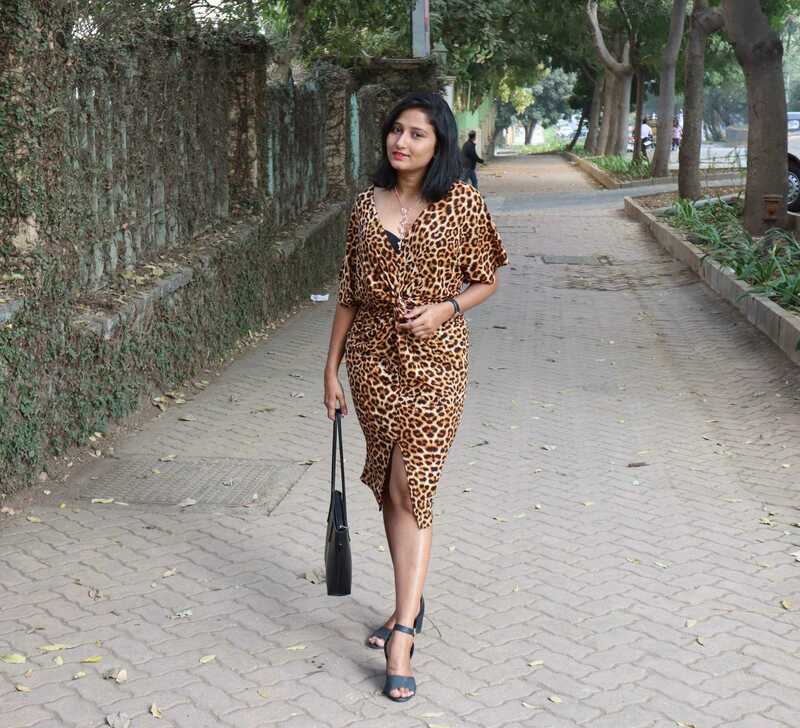 In this post, I have styled various animal prints for an effortless casual look. 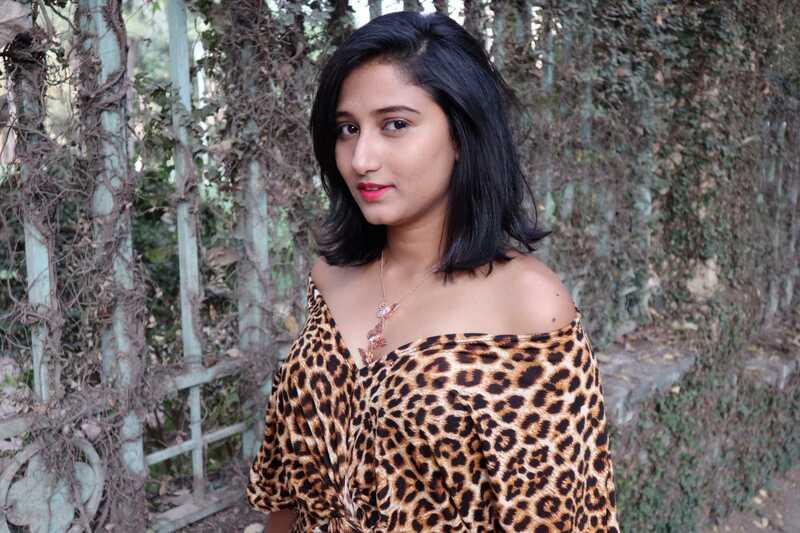 There no such thing like too much leopard print, so styling a leopard print dress is always safe, instead, it will give you a classy and fierce look. I have styled this beautiful dress with all blacks (heels, watch & bag) which helps to make the print more prominent. The distinctive knot detailing at the waistline gives the illusion of a slimmer waist thereby accentuating the curves. The gorgeous, versatile and plunging neckline helps you to style the dress in different ways. I even loved the off shoulder look of the dress. 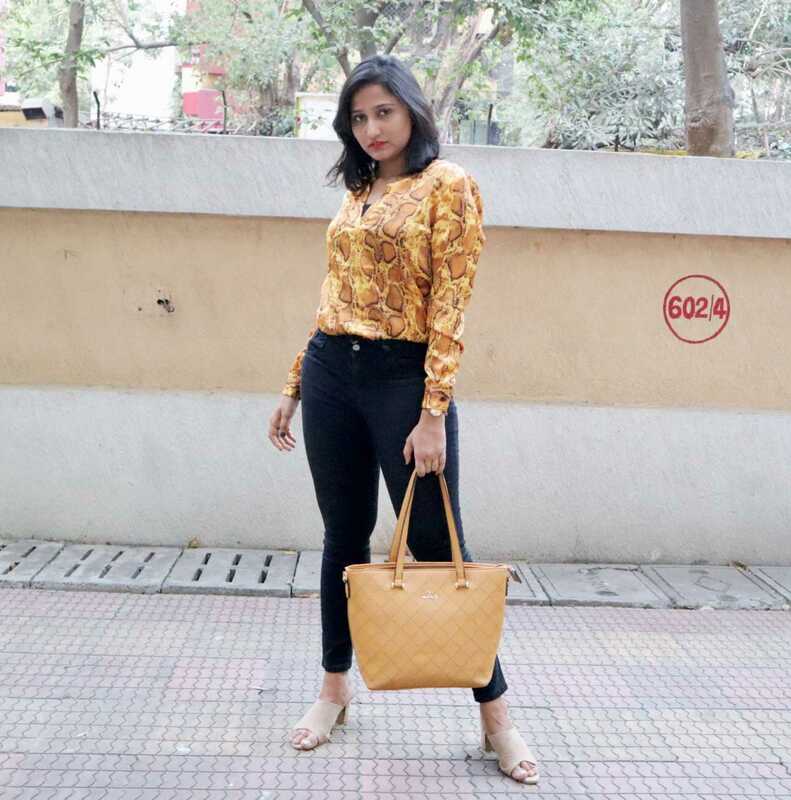 I have styled this leopard print pant with a black one-shoulder top for a laid back casual look. You will also find leopard print leggings which looks quite cool and stylish. Pair it with a crop top or a bralette and throw a jacket on it and you are ready to slay for the day. If you think snake print will be flashy for work, you are wrong. snake print looks beautiful even if styled for a formal look. I wore this snake print shirt and tucked it in. The colour here adds up an amp to the simple formal look. Even leopard print for work is win-win. 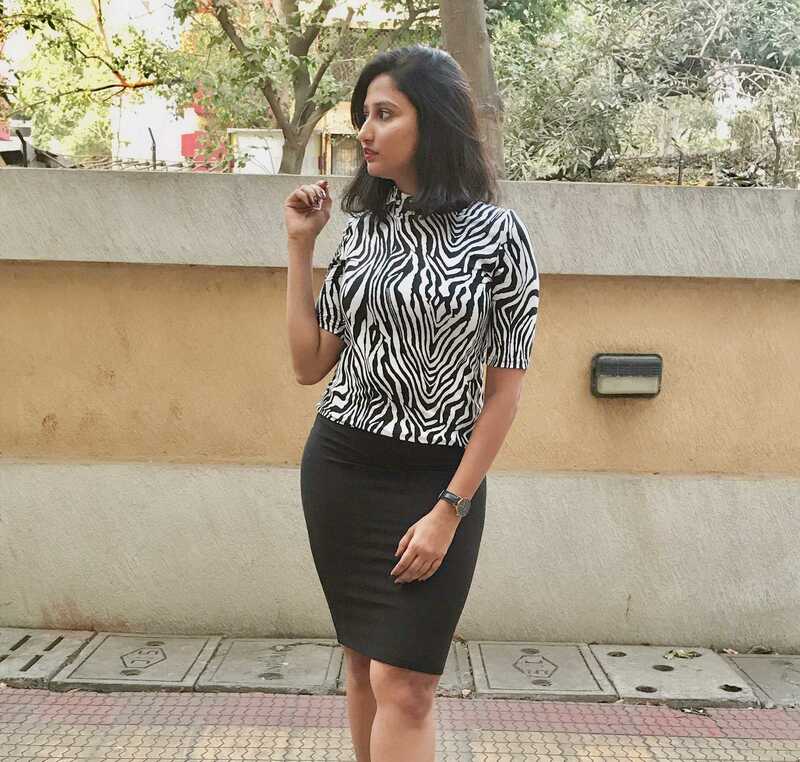 Monochrome can never go out of fashion and that's the reason I am in love with the zebra prints. It is highly versatile and can be paired with anything and everything you like. Also, this can be styled for a casual chic or splendid formal look. Layer it up with a blazer and you are all set for your meetings. 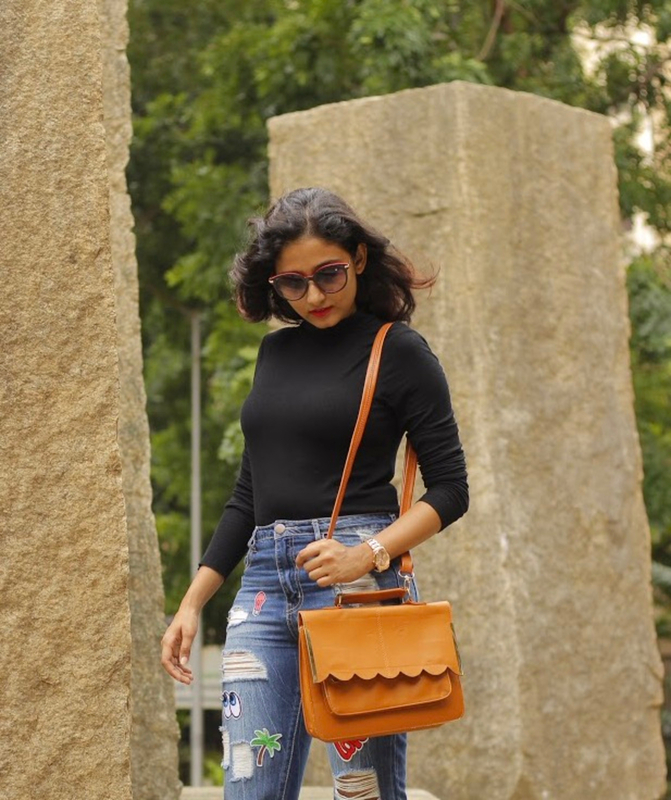 Pair it with a pair of denim or skirt and rock the casual look. I hope you find this helpful. let me know if you have any ideas of styling animal print in the comment section below. Please subscribe to my blog so that you don't miss any post.